Easy to grow average soil; but best in organically rich, humus, medium wet, well-drained soil, neutral pH in partial shade. These perennials grow most vigorously and have the strongest colors when grown in partial shade (preferably afternoon shade). They can also be grown in full shade but their growth rate will be very slow. A better performer in the north than in the south, their life span tends to increase as the average temperature is lowered. Performs well in full sun in the north, but prefers afternoon shade in the south. Foliage color is typically enhanced with afternoon shade. If grown in full sun, consistent moisture is particularly important to prevent scorch. Use this salt tolerant plant as a border, in containers, for cut flower or foliage, rock gardens, edging, and mass planting. Heucherellas are evergreen in areas with mild winters. If properly sited out of the way of winter winds and with reliable snow cover, gardeners in northern regions may also find their heucherellas acting as evergreens. If the plant looks tattered by early spring, shear off any damaged leaves to make room for the vibrant new foliage which will fill in quickly. Remove stems of faded flowers to encourage additional bloom. In cold winter climates, winter mulch applied after the ground freezes will help prevent root heaving. Divide clumps in spring every 3 to 4 years. 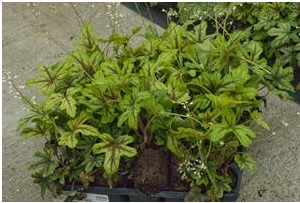 Heucherella is a hybrid cross between a variety of Heuchera and a variety of Tiarella. 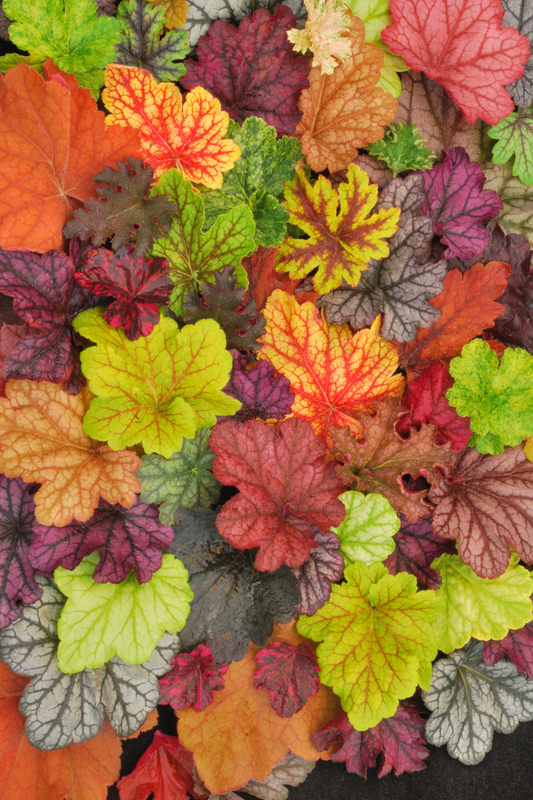 It is generally more compact and delicate in appearance than its Heuchera parent. The first crosses of these two genera were made by Alan Bloom, the famous English plant breeder. PLANTING: Space plants 12 inches apart. Choose a sunny (in northern zones) or lightly shaded, sheltered location where the soil is rich and well-drained. MAINTENANCE: Water during periods of drought. Apply protective winter mulch once the ground has frozen. Plants may, if necessary, be divided every 3 to 4 years.